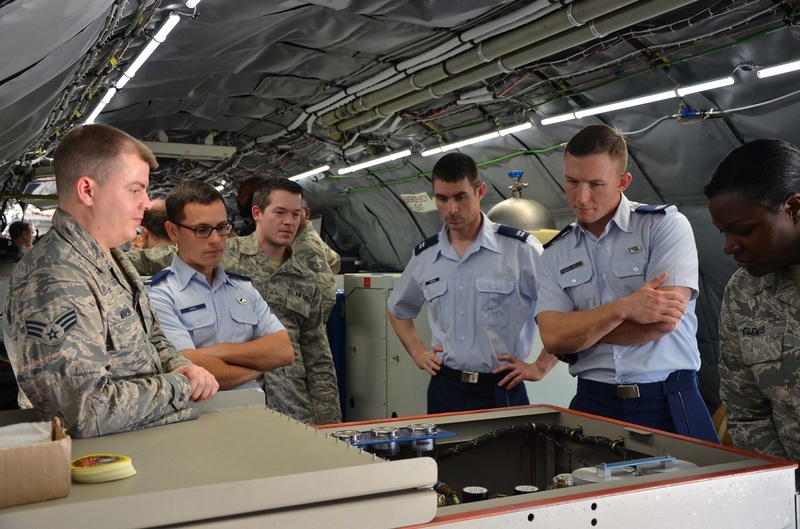 On Feb. 14, 2017 one of the Air Force’s most interesting aircraft visited Patrick Air Force Base (AFB) to give members of the Air Force Technical Applications Center (AFTAC) a chance to get a glimpse of its inner-workings. 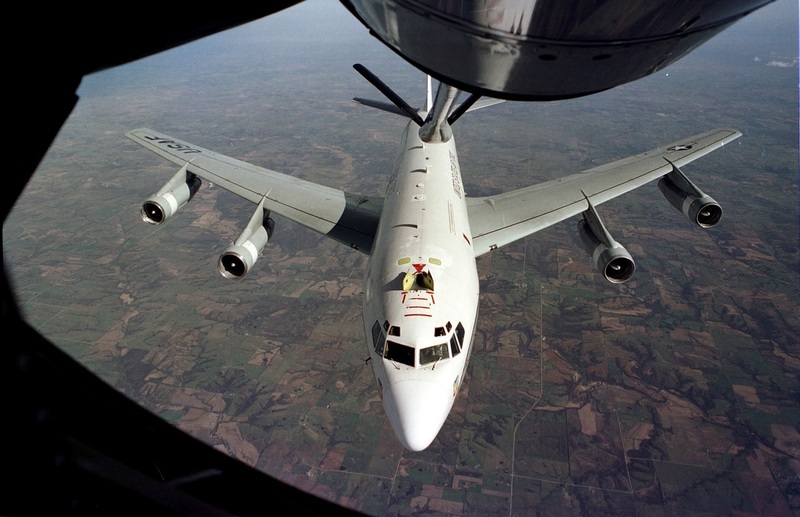 The WC-135 Constant Phoenix, AFTAC’s atmospheric sampling platform, with its cockpit crew from the 45th Reconnaissance Squadron and its special equipment operators from AFTAC’s Detachment 1, flew from its home base, Offutt AFB, Neb., as reported by Susan A. Romano, AFTAC Public Affairs in the article WC-135 Constant Phoenix visits Patrick AFB. Actually, while its operational mission falls under the center’s command, many of those assigned in Florida rarely get a chance to see the aircraft in person, much less tour it. More than 450 personnel funneled through the jet, which started with a close-up view of the cockpit, then moved through the body of the plane, where 9S100s (the Air Force specialty code that identifies special equipment operators) described how they collect debris during missions and prepare it to be processed for lab analysis. Senior Airman Tristan Marsh (left), briefs a group of visitors on the capabilities of the WC-135 Constant Phoenix Feb. 14, 2017. The jet was on display at Patrick AFB, Fla., for members of the Air Force Technical Applications Center and the 45th Space Wing. As people made their way through and around the aircraft, crewmembers discussed the features and capabilities of the atmospheric collection suite, which allows the mission crew to detect radioactive ‘clouds’ in real time. Constant Phoenix flies in direct support of the U.S. Atomic Energy Detection System, a global network of nuclear detection sensors that monitor underground, underwater, space-based or atmospheric events. As the sole agency in the Department of Defense tasked with this mission, AFTAC’s role in nuclear event detection is critical to senior decision makers in the U.S. government. One of the visitors who toured the plane was David Campbell, a laboratory supply manager at AFTAC’s Ciambrone Radiochemistry Lab. 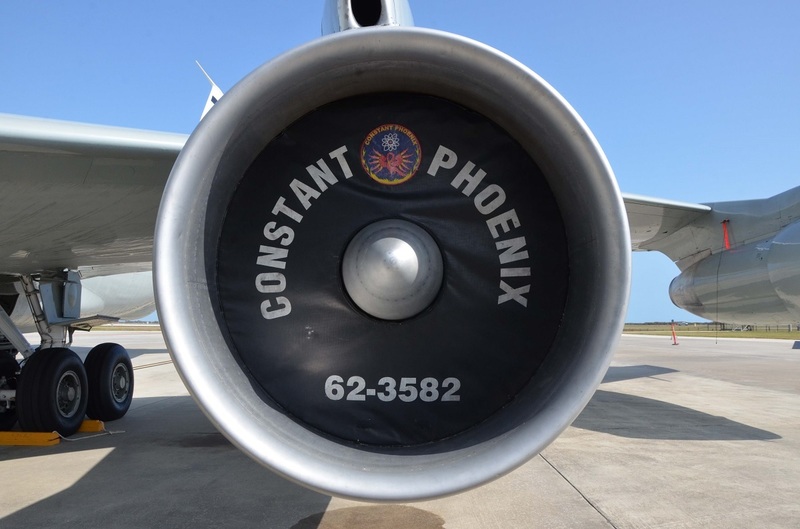 Close up of a WC-135 Constant Phoenix engine cover during the aircraft’s visit to Patrick AFB, Fla., Feb. 14, 2017. 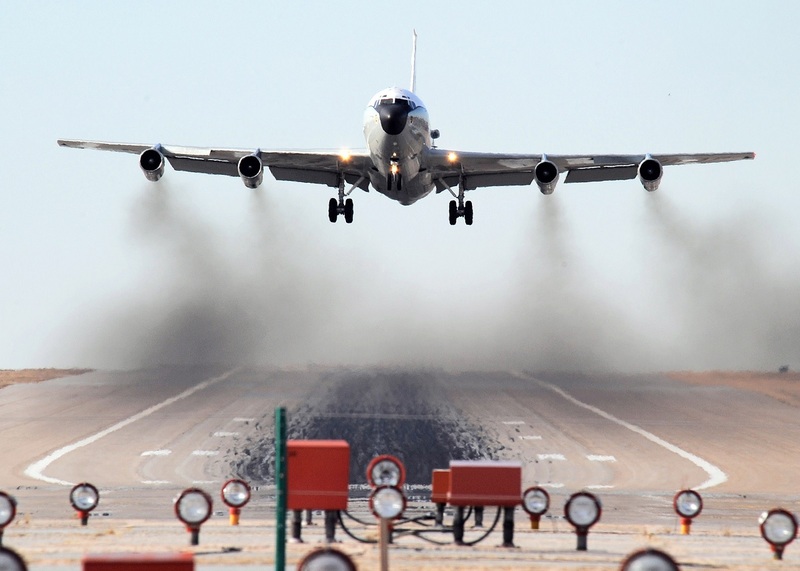 The WC-135W Constant Phoenix atmospheric collection aircraft supports national level consumers by collecting particulate and gaseous effluents and debris from accessible regions of the atmosphere in support of the Limited Nuclear Test Ban Treaty of 1963. The aircraft is a modified C-135B or EC-135C platform. The Constant Phoenix’s modifications are primarily related to its on-board atmospheric collection suite, which allows the mission crew to detect radioactive “clouds” in real time. The aircraft is equipped with external flow-through devices to collect particulates on filter paper and a compressor system for whole air samples collected in holding spheres.